Happy Holidays everyone. The first picture is the most meaningful to me, because these mittens are hand made by me, I dyed the wool, then I spun the yarn. 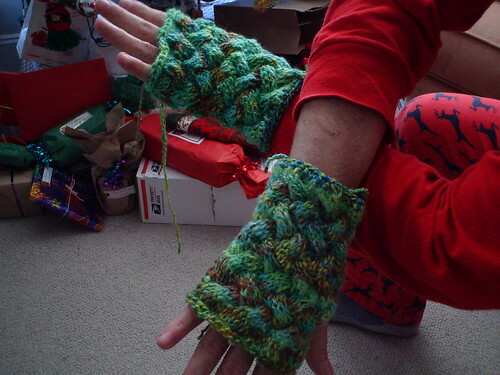 The picture shows them almost finished, I modified the pattern and made them fingerless, but with the fingers divided. I looks very cool. 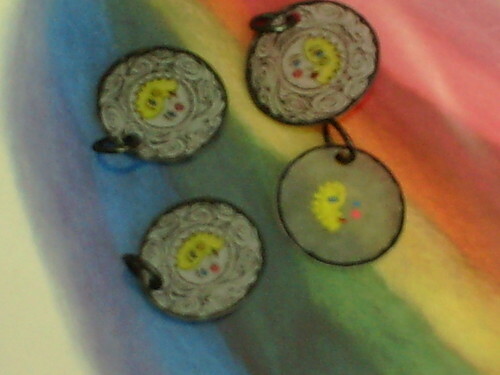 These are stitch makers from Admiral IYN thank you they are lovely and very inspirational. This yarn is part of the Christmas Exchange from the Ravelry Group, very lovely . This one as well is part of the swap, but it was hand dyed for me, I love all these details and I will be making some socks with this yarn. Delicious , but dangerous peppermint chocolare bark! I made the hat for Michael, he loves it. It is the Armando Hat from Ravelry, easy as pie manly lace hat. We got some Harry and David Fruit as well. There was lots of fiber fun from this Erin Colorway from Ebay with a humongous spindle which I like and unexpectedly came pn the 24 th. Last Season of Galactica and the New Star Trek Movie on Blue Ray. 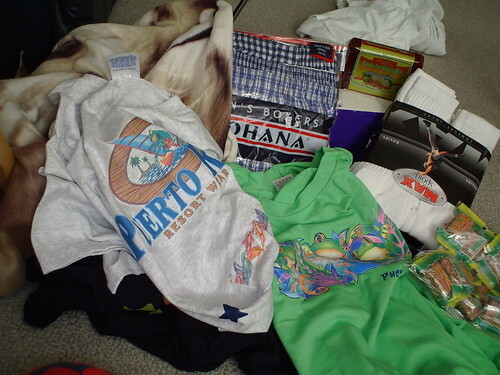 Here is some more of the loot from the swap that I left to open on Christmas day, I love tha bag of rice, it is a great sack. A copoy of the pyramids in chocolate lol! My mom always send me cool stuff, candies , socks and underwear, even if I don't use some of the styles it is always nice to receive them from her. 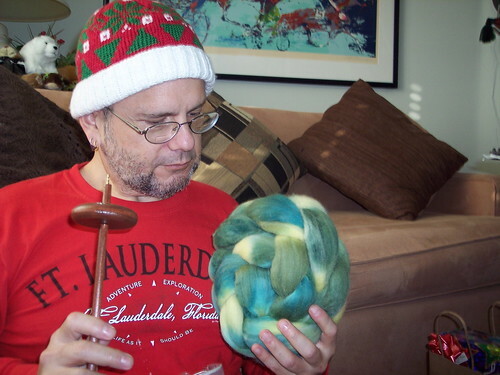 More fiber fun as I will learn to spin cottong. This package has plenty of different kinds of cotton fun to spin from. Cotton roving to spin to my heart desires. A brand new set of Tarot Cards for my Spiritual Journey and consultations. Needless to say as soon as I so this book I wanted it and Santa brought to me. I will learn to respect my spindle. A See's Cigar made out of chocolate, even though I have been known to enjoy a cigar once in a while, this one is made to eat. Happy Holidays and thank you for stopping by.